DIPP PARTNERS WITH BLAISE, MUNA AND KEL OHIA. 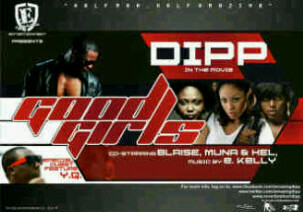 Pop Singer DIPP is set to release the remix of one of his singles off his albums , Good Girls in which he featured YQ . The remix whose theme is about discovering a good girl in the club is set to feature 3 top female rappers , Blaise, Muna and Kel , all regarded as the ebst in the music industry. AKUNYILI SET TO LEAVE JONATHAN’S CABINET.